Moving into a new home is an exciting time, although it does require some planning in advance. This is especially true for new homebuyers who are also pet owners. Luckily, moving into a new home with your dog doesn’t have to be stressful. 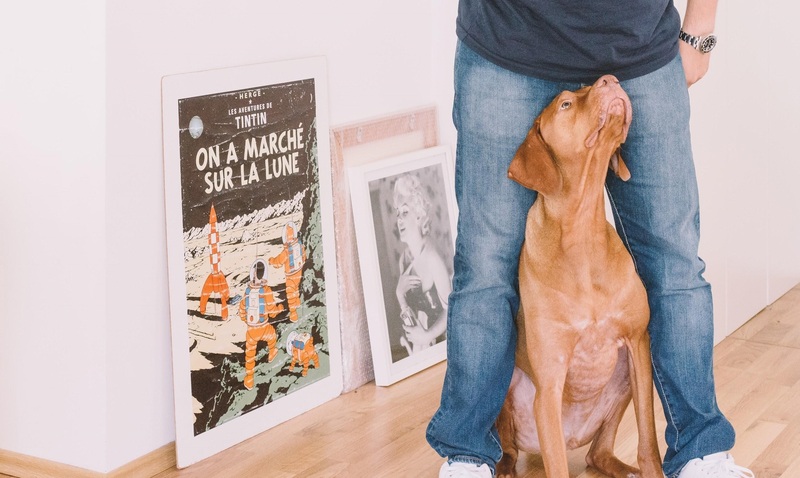 If you’re a new homeowner with a dog, there are several things you can do to make your moving day run as smoothly as possible - for yourself as well as your four-legged friend. If you’re moving into your first home, there are a few things you’ll need to take care of in your current home before you leave. For instance, you’ll want to make sure the home is clean and repair any damages so you can recover your deposit money. When it comes to moving into your new home, you’ll want to take a few precautions in order to keep stress and anxiety levels at a minimum for yourself, as well as any two-legged or four-legged family members. Sometimes, this might involve leaving your moving day to the professionals. First, you might consider boarding your dog for the day or hiring a professional dog walker. This keeps your dog safe and occupied during your move. Hiring one of Fresno’s many professional moving crews can be another way to reduce your stress level and ensure a successful moving day. 1) Let them know you have a dog. Ideally, you should tell your movers about your dog ahead of time so there are no surprises on moving day. Talk to them in advance about how to properly and safely interact with your dog, especially if your dog is prone to running away or is known to be temperamental around strangers. 2) Be aware of the moving policies. Do any of these policies involve dogs? Will you need to have proof that your pet has been vaccinated? What are their policies over damages or injuries? If this is a long-distance move, you’ll need to stop and let your dog out for potty breaks and exercise at regular intervals. What (if any) policies does your moving crew have on these pit stops during the drive? 3) Plan ahead. For the safety of everyone involved - including your beloved pet - plan on keeping your dog in a separate room while the moving crew is at your home. That will be safer and less stressful for your dog while also allowing the moving crew to work. 4) Pick the right time to move. Consider day of the week, time of day, rush hour, any holidays, work and school schedules, and other variables that can have an impact on how successful (or stressful) your moving day becomes. For instance, don’t move at 9 a.m. in Fresno; this is the busiest time of day to move, according to HireAHelper. Because rush hour and traffic concerns can create unnecessary stress on your moving day, you might consider moving at a different time of day. If you have a large home with lots of belongings, you’ll also want to plan for more hours and a buffer window to allow yourself and your moving crew plenty of time to safely transport all your beloved possessions. The more you plan ahead, the less stressful your moving day will be. Once the move is over, you’ll be ready to unpack and start settling into your new home. To help your dog settle in, don’t wash his or her blankets and bedding, as tempting as that might be. Having familiar scents from your previous home will help your dog feel at ease in his or her new surroundings. By planning ahead for your dog’s comfort, you can help reduce the amount of time it will take to him or her to adjust to your new surroundings.